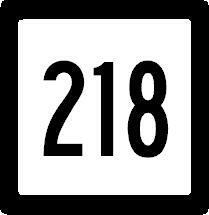 Connecticut State Route 218 is an east-west highway in Central Hartford County. It runs from Connecticut State Route 159, near Windsor Meadow State Park, west to U.S. Rt. 44. CT St Rt 218 passes through the following towns in Hartford County. CT St Rt 218 is not multi-plexed in Hartford County. CT St Rt 218 intersects the following highways in Hartford County. Connecticut State Route 159, at Windsor. 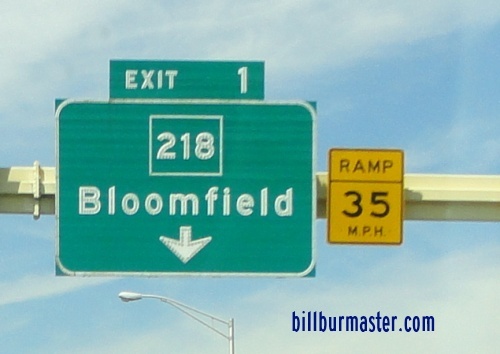 Connecticut State Route 187, at Bloomfield. Connecticut State Route 189, at Bloomfield. Connecticut State Route 185, at Bloomfield.